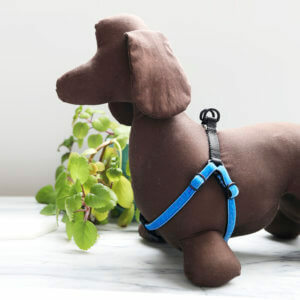 Shop our many colors of velvet, laminate, grosgrain & glitter for great options for both girl and boy puppies. Did your puppy stay tiny? 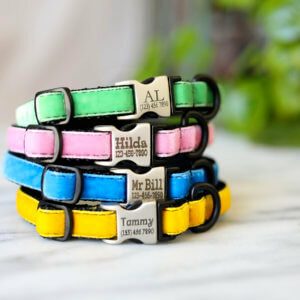 These collars are perfect for toy breeds as well! 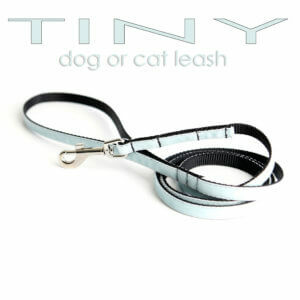 Designer small dog collars are hard to come by. 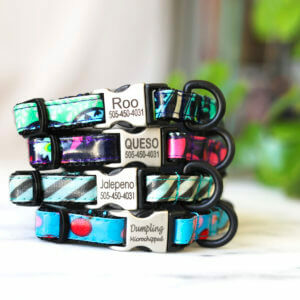 Ours are handmade in the USA making them that much more special! 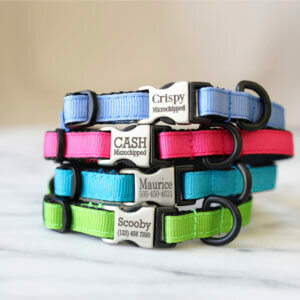 Lightweight and tough, these collars will last your toy pup for ages. Have an indoor cat you want to have an engraved buckle? 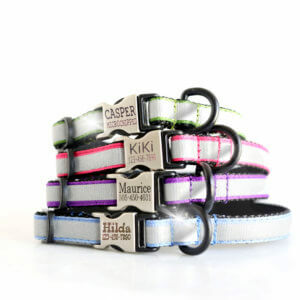 These collars are the same width as our kitty collars but do not have a breakaway buckle. This is great if your cat is prone to taking off their collars, but not great if you have a daredevil cat who could potentially get stuck hanging from their collar.